COMPACT VERSION OF THIS ANTENNA XR5C MkII with CAPACITY LOADED 20M ELEMENTS ONLY 8.9M WIDE! HERE! The XR5 has been reduced by more than 30% in length while giving the same performance, 5 HF bands consisting of 20/17/15/12/10 as previous versions. The XR5, comes with a capacity loaded 20m element Option (XR5C which reduces the longest element from 11.6m to 8.9m) and reduced turning radius too! The XR5 is set to become a market-leader very quickly, why not get ahead of the pack with this one and place your order early! NEW for 2019! 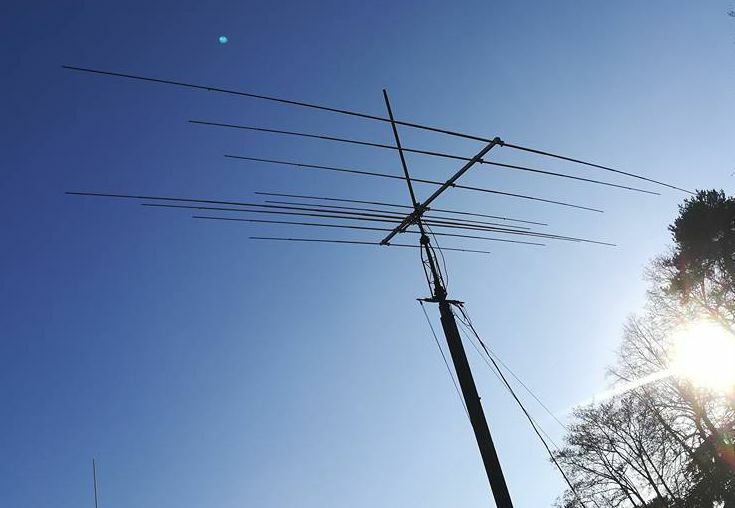 The XR5 MkII - The InnovAntennas XR5C - An 9 element multi-band HF & 6m Super-compact Yagi covering 20m/17m/15m/12m/10m/6m bands with a single feed point. 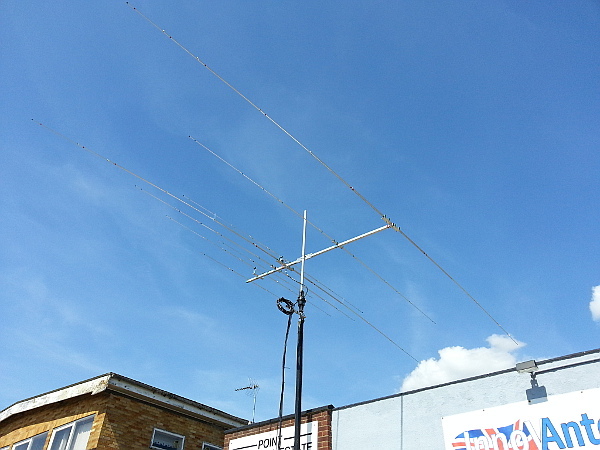 The XR5 has been given the 6m band in addition to the traditional 5 HF bands of 20/17/15/12/10 to match today's HF rigs and give excellent performance on all bands. with a boom of just 3.5m and weighing under 30 Kilos, this antenna has created its own place in the 'full size' HF Beam market. The XR5 has no matching devices, no traps, no coils, no hairpins so nothing to lose valueable power and thus, nothing to over-heat through these inefficient devices. This means the only power limitation you have is how much power your coax cable can handle. The XR5 is an ideal partner for today's top SDR radios. There is no limitation in how many bands you can monitor or use at once. This means with products such as the Flex 6700, all 6 bands can be monitored at the same time WITHOUT COMPROMISE. The XR5 MKII has been in development for the last 12 months improving bandwidth and gain to ensure more of each band than ever before can be used without the requirement of an ATU. The more bands there are added to a multi-band Yagi, the more interlaced elements there are and in turn, performance per band drops with each no band added. The Unique design of the XR5 MkII means no more than 3 band are interlaced on any part of the boom. We have modified the construction of the XR5 to provide a more rigid look with faster taper to ensure fatigue due to vortex shedding (constant wind flow causing vibration) are not an issue. 20m element start at 35mm diameter and boom is 50mm diameter. With no moving parts and being modelled for wide bandwidth per band, the XR5 MkII is very forgiving in all weathers allowing you to enjoy your hobby whatever the location or time of year. 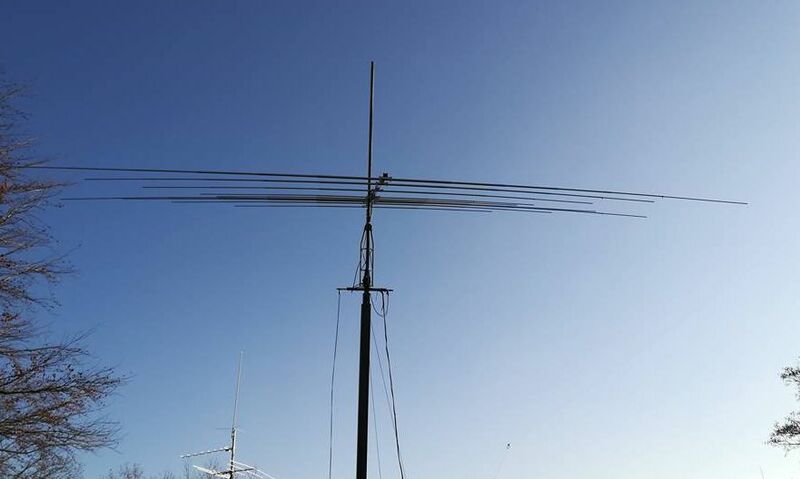 Icom North America and Kenwood UK changed their HF antennas to 'XR's' to ensure reliability and remove the need for maintenance. If you don't want to be climbing the tower each year to fix stuff, the XR5 MkII is for you. The XR5 standing on it's own in terms of quality. built using the latest CNC technology, all components are at the top of their field too. Our insulators are UV protected and handle -170 to +240 degrees C, our hardware is Marine Grade Stainless Steel and our aluminium aerospace grade T6 6066/6082. The boom is made from 50mm diameter square tube with a wall thickness of 2mm and thus is super-rigid. The largest diameter elements are the 20m elements with centre sections 35mm in diameter with 2mm wall.